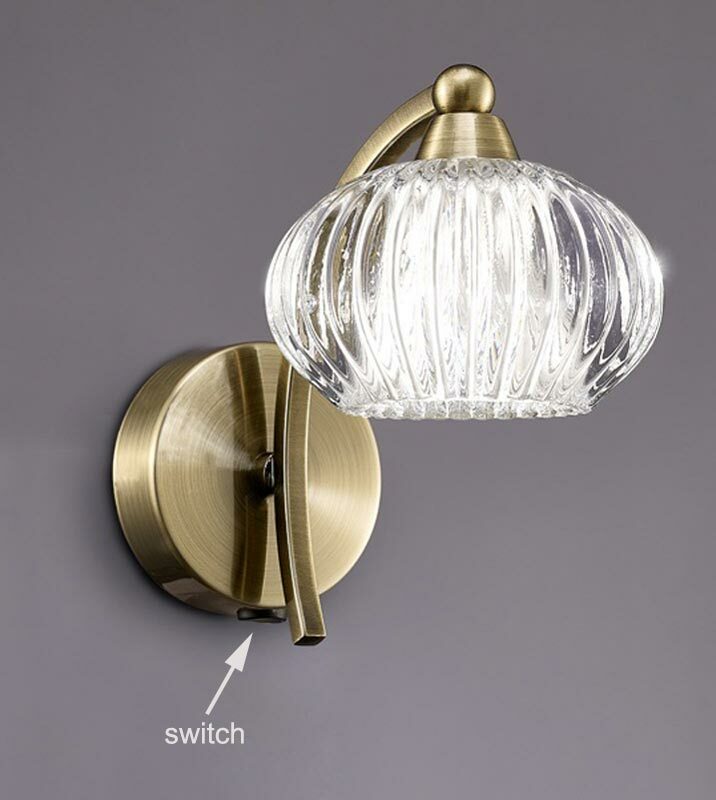 This Franklite Ripple single switched wall light in bronze finish with ribbed glass shade is stylish and bright. Circular wall mount and curved over arching arm, with ribbed clear glass shade that sparkles when lit. Fitted with an on/off rocker switch under the wall mount and perfect for any living room, dining room, bedroom or hallway wall. Suitable for dimming if used with mains voltage halogen lamps. LED G9 lamps may be used but suitability for dimming will depend on the lamp and switch used. There are matching fittings in the Ripple bronze finish lighting collection that includes three and five light semi flush fittings, a twin wall light and a table lamp, please see below. Also available finished in satin nickel, please use the search bar at the top of this page to view the complete collection. This stylish light is supplied by Franklite Lighting who have been one of the pioneers in the design, manufacture and distribution of high quality lighting such as the Ripple single switched wall light in bronze finish with ribbed glass shades you see here.